Over the past few years there has been a lot of buzz, excitement, anticipation, and ultimately - disappointment with watches coming out of the Kickstarter pipeline. I want to start this review by stating loudly and clearly - this is not one of those times! Unless you have been living in a cave without wi-fi for the past year or so, you have heard about Klokers. While I could go into the team, the pedigree, the philosophy, etc. this is meant to be a review of a watch, so I'm going to let the watch speak for itself. I will digress one bit - I picked up the watch at BaselWorld to save some postage for Klokers, and wore it on my right wrist for two days. It was pretty remarkable the attention that it drew in the different brand presentations I attended. CEOs, sales directors, heads of marketing - everyone wanted to see it, hold it and try it on. It became very clear to me that this was a watch that everyone had been waiting to see. Each wheel is slightly different than the next. Hours the largest in black, the minutes the middle size in red, and the seconds in black again. And the text indicating the function of each wheel is printed in English, French and German - rather a nice touch. So let's break it down - the watch has been a real delight to wear. Starting with the dial, it was a wee bit of an adjustment getting used to this new way of reading the time, but once I was used to it, it became second nature. The contrasting colors of the numbers are a great aid in delineating the three different time measurements. which lends itself well to the overall look and feel. The watch is secured to the strap by means of what Klokers refers to as a docking "key". The metal flange slides neatly into a groove in the case back, snapping cleanly into place. It is an interesting approach as it makes it easy and efficient to change strap colors if you wish, or to convert your Kloker to a pocket watch. The straps are available as a separate purchase items. And this is perhaps the one thing that future customers need to be somewhat aware of - if you want/need a new strap, you will need to purchase it from Klokers. Luckily they have you covered with several different options and colors. The KLOK-01 has been extremely comfortable to wear and the docking "key" system causes the watch itself to sit slightly more elevated from the strap at the top or 12 o'clock position. This is a very good detail as it makes the the time more readable than if the watch case sat flat on the strap. All too often, when trying to come up with a whimsical idea, the designer fails to take all of the little details into account. However, the team behind the KLOK-01 went above and beyond. Every little design item that could have been a stumbling block became an enhancement. Every potential foible became a strength. This is a well thought out, well designed, and extremely well executed time keeper. 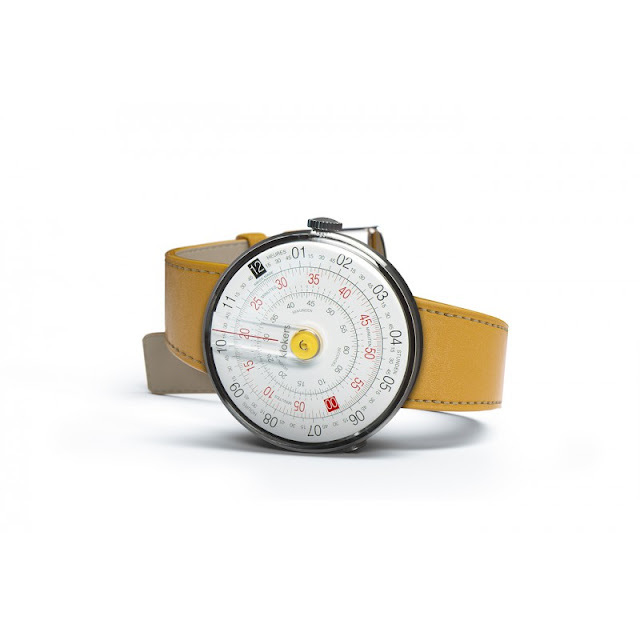 So did the Klokers KLOK-01 live up to the hype and excitement? Absolutely! We have numerous ways to tell the time these days, so a watch is really no longer a necessity (although many of us feel you need at least one on each wrist) so to take something utilitarian and make it fun and deliver it at a competitive price? Let's just say that the folks at Kloker's have built a better mouse trap!